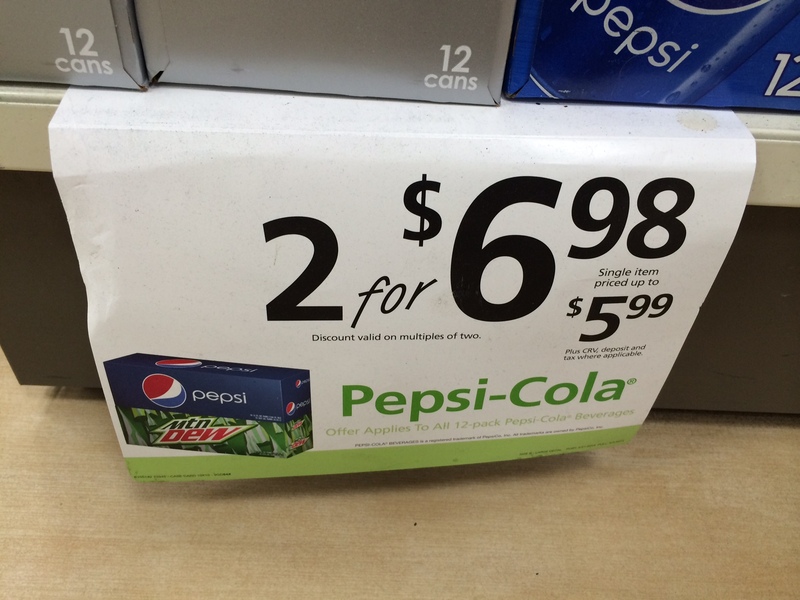 redesignAnswer: If two 12-packs of Diet Pepsi cost $6.98, how much does one cost? Like many marketing and pricing questions, this one doesn’t have a “right” answer. It depends on the philosophy of the company and what you’re trying to achieve. Here, you’re balancing the consumer desire for “fairness” with the desire to maximize either revenue or margin. The “fair” answer is $3.49, which is exactly half of the cost for two. The revenue maximization answer is $6.97, because it basically forces everyone to buy two. Will you look like you’re forcing consumers into bad choices? Especially with health concerns, you might look dickish to regulators. A great example of this is when McDonald’s offered 1 pie for 99 cents and two pies for $1. This played into the notion that McDonald’s wants you to eat poorly. Bad for PR. CPGs like PepsiCo offer a wide range of marketing incentives depending on volume. In general, I find that stores like Target tend toward the “fair” end of the spectrum in unit pricing. Drug stores such as, Walgreen’s and CVS, and C-stores, like 7-11, tend toward the revenue maximization. The picture in the question was taken at a 7-11. The price for two was $6.98. The price for one was “up to $5.99” on the sign. I didn’t try to buy a single unit just to see what the actual price was.